On the beneficial properties of tea have been known for a long time. The first tea began to use Chinese, and it is for medicinal purposes. they noticed, drink that gives energy, wards off drowsiness, helps to cope with severe illnesses. 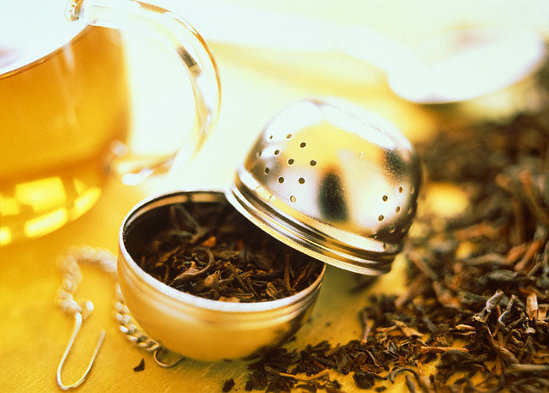 But tea scientific research only began in 19 century, which can not be said, that on tea, even today knows everything. 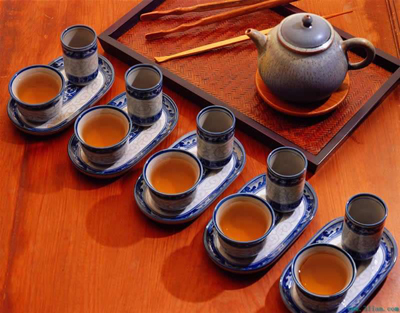 After all, there are several kinds of tea, and a great many of its varieties, differing in the place of growth, terms collection and quality of raw materials, cooking techniques, storage methods. Reactive elements in the tea has between 300 to 500, depending on its grade. We call 7 basic substances, which give the tea a unique flavor, flavor and medicinal properties. it: tannins, essential oils, alkaloids, vitamins, proteins and amino acids, minerals, available in tea pigments, pectins and enzymes. Astringency and astringent taste of tea due to the content tannin, which ranges from 10-30% (more of them in green tea). It tannins, in conjunction with the caffeinated tea, make its impact on the body softer, and combined with the catechins increased activity of vitamin C., which is present in tea, in green tea a particularly large number of his. Teakatehiny, The resulting compound tannin tea catechins, strengthens blood vessels, help to reduce high blood pressure, possess high antioxidant activity, saved the body from aging, tumor development, help in the fight against obesity. Give the tea a unique flavor, creating an emotional mood, a positive effect on the nervous system. To this group belongs caffeine (cysteine), which in conjunction with the tannins change for the better its effect on the body, acting more gently on the heart, the nervous system, sharpening thinking, stimulating and activating processes in the body. More theine in the young leaves and buds, in high-quality varieties of green tea, since for processing without fermentation technology, it is less destroyed. Found in tea and theobromine with teofelinom, possessing diuretic and vasodilator. If the tea is brewed for a long time, especially black, or use yesterday's tea leaves, pouring boiling water, then the infusion may go guanidine, highly toxic compounds, which is formed from tea alkaloids in their destruction. You can note, that tea in a particular quantitative terms are almost all vitamins and many important minerals. High vitamin C content, and it is in green, white and yellow tea, it is slightly inferior to the content of this vitamin in the wild rose, black tea in it 10 times less than. There are vitamins A, E, preserve youth, have the ability to remove toxins and waste products. B vitamins are good for the nervous system, help with liver diseases, diabetes, improve skin condition. Vitamin P strengthens blood vessels, keeping their elasticity. Vitamin K normalizes blood clotting. Mineral substances in tea are the following: high potassium content, available calcium, magnesium, iron, aluminum, sodium, etc.. Well the body absorbs from the tea zinc, manganese, nickel, copper. According to the content of protein tea can be compared with legumes. Key proteins - albumin, one of its members 17 essential amino acids for the body, particularly to help restore the nervous system. Pectins tea helps in wound healing, neutralize toxins, reduce harmful cholesterol. So that, tea bush - it really is a unique plant for the chemical composition of leaves, and useful properties derived from their drink - favorite by many tea.